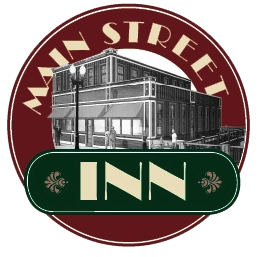 Main Street Inn, located in the beautiful state of Michigan, is the perfect tranquil setting for long stays or romantic 1-night getaways. Discover the difference of our Lowell hotel and Inn today! With our hotel's large rooms and bathrooms, cozy atmosphere, and friendly staff, you'll never stay anywhere else when passing through or visiting the area. Staff on site from 8 AM - 9PM.